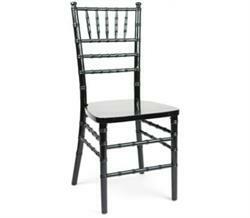 Chiavari chairs are a simple way to add elegance and sophistication to any event. Known for its trademark bamboo-like joints, these chairs are lightweight, durable, and stackable. 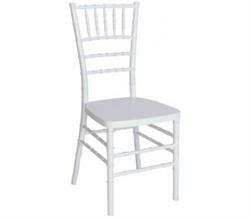 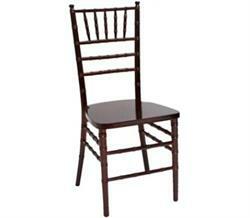 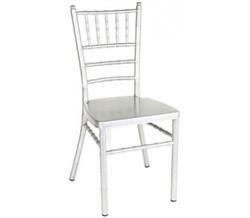 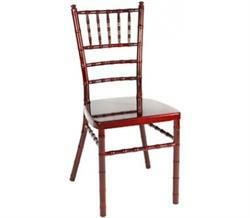 Our Chiavari chairs are made from solid aluminum, solid resin, and wood. They come in colors your occasion demands – including gold, mahogany, silver, white, and black. Our aluminum chairs have scratch resistant frames that make them suitable for outdoor use. 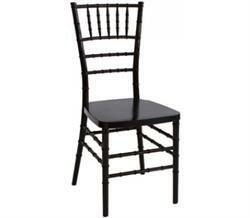 All come with cushions.